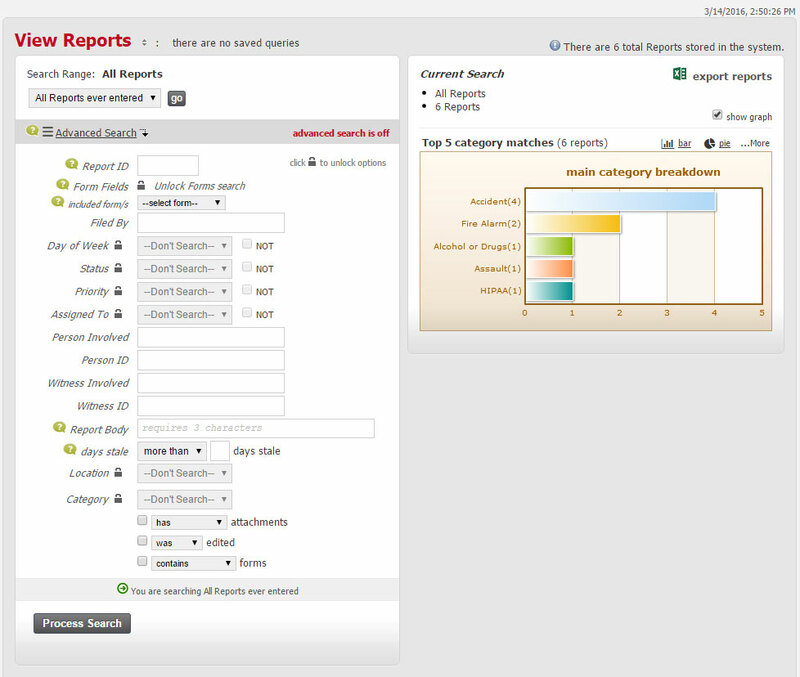 You can search by any combination of fields, including custom form fields. 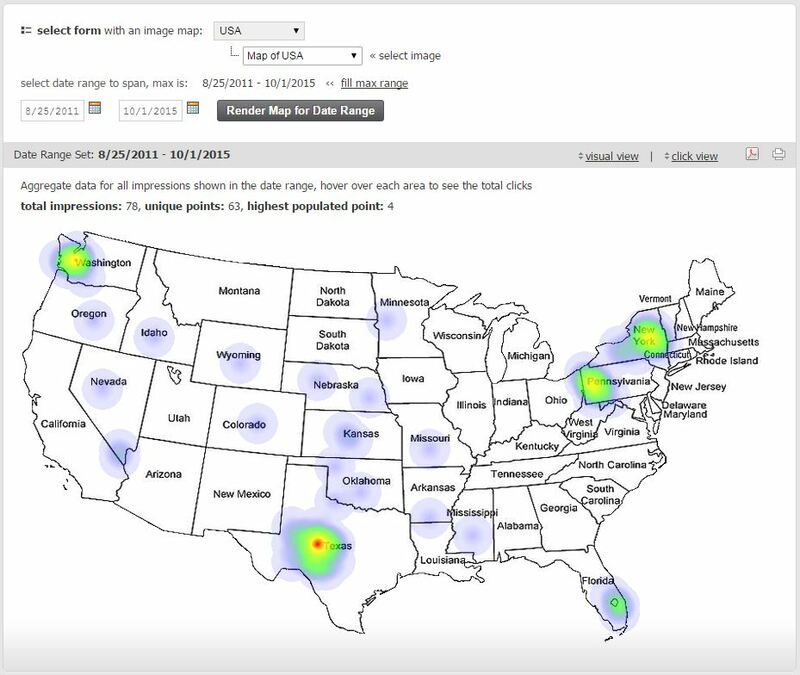 Upload any image to use the heatmap tool in your reporting. Trend results over a selected period of time. 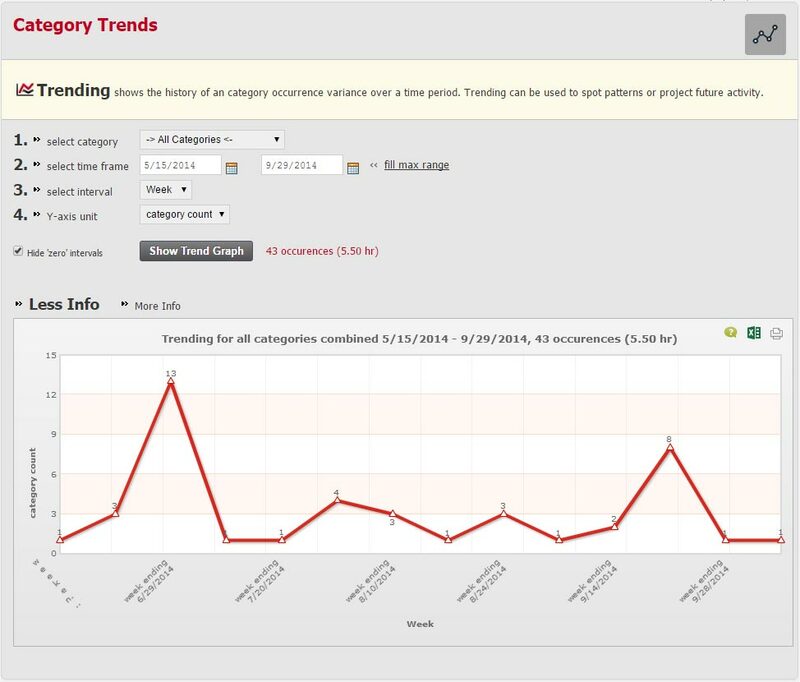 You can then export the results into an Excel file for further analysis or a hard copy. 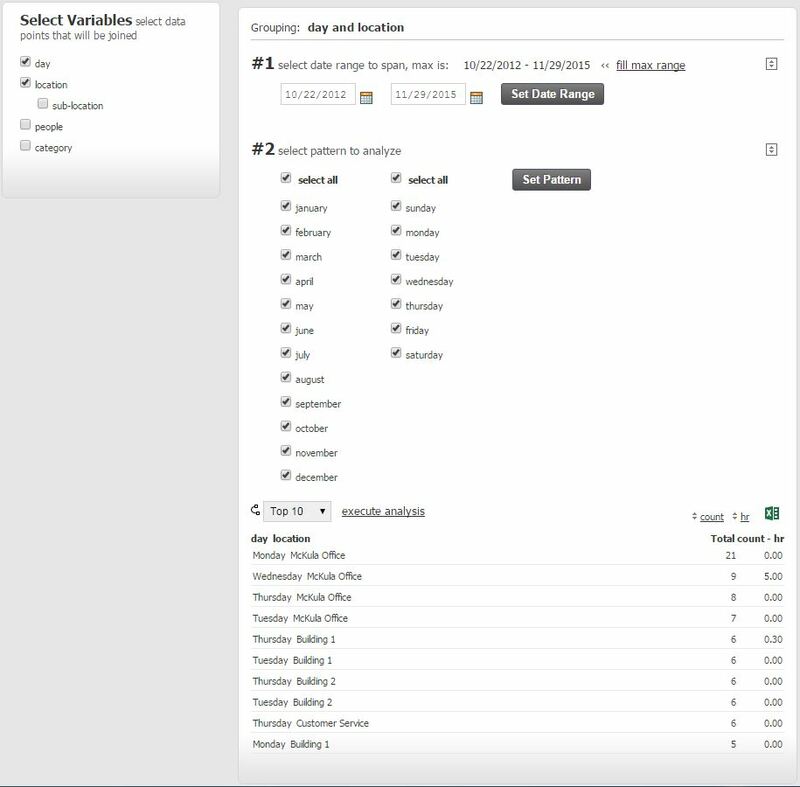 Combine search options to analyze statistics based on day, location, people, and category over any time frame.